Welcome to this lovely detached 3 Bedroom, 1.5 Bathrooms home in Erin Woods! 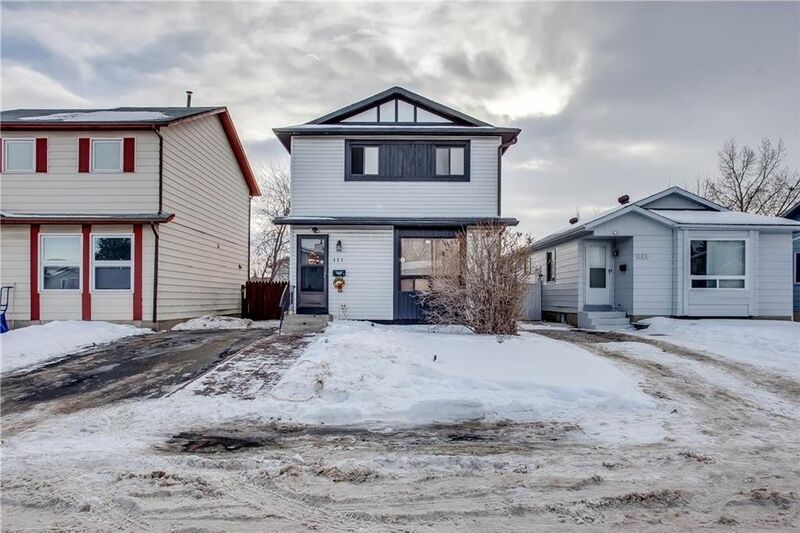 Located on a large South facing lot it offers EASY ACCESS to 52 str, Deerfoot or Stoney, steps away from the PARK, good proximity to ERIN WOODS ELEMENTARY SCHOOL and to FOOTHILLS INDUSTRIAL PARK. Upgrades: hypoallergenic carpet, cabinets and counter top in kitchen and both bathrooms, hot water tank (2012), shingles (2016). The main floor features a good sized living room, dining room, functional kitchen, and 2 pc bath. The upper level has a Master bedroom with walk-in closet, 2 more bedrooms and a 4 pc bath. The lower level is finished and has a recreational room. The Huge backyard is offering space for an oversized garage that you can build in the nearest future, also has a large patio area. Priced to SELL!.